The new Backstreet Boys album is titled “In A World Like This” and is set for release on July 30th. Another interesting album to add to my eclectic music collection and confuse my neighbors with 😀 I can’t wait to have my own copy! *whoot* I’m overly excited right now! I’ve read their tour is going to kick off in China in May already! You lucky Asians, you! This will be the first world tour for the group as a five-piece since original member Kevin Richardson‘s return to the group in 2012 after leaving in 2006. It promises to be a real treat for the Backstreet Boys Fanatics and closet fans out there! Unfortunately I haven’t been able to find any info about a European Tour just yet. Surely the Boys are planning to take the Europeans on a trip to BSB memory lane as well, so I’m hoping anyway? I for one cannot wait for the Boys to come to The Netherlands. It would be mad fun to have one of those “teenaged moments” with the other thousands of fans at a packed concert 😀 It’s been a while… *tee-hee* For exact tour dates: check the official Backstreet Boys website. Their new album In A World Like This is apparently going to sound a whole lot different from what we’ve known from the Boys so far. The Boys state they want to declare their independence and maturity with that typical Backstreet Boys flavor. The guys hooked up in London to work on their album last summer and it’s been said that Craig David popped into the studio during the process. I sure would like to know how that turned out.They will be singing about topics they haven’t sung about before. About fatherhood, for instance. Which makes sence, since four of the band members are married with children. All in all I’m quite curious to hear how all of this has turned out. There’s a very interesting Q & A with the Boys about their upcoming album, the tour and much more. Go and read all about it @ Rolling Stone’s website. Batman, tunnetunnetunnetunne Batman BATMAN BATMANNNNNN! 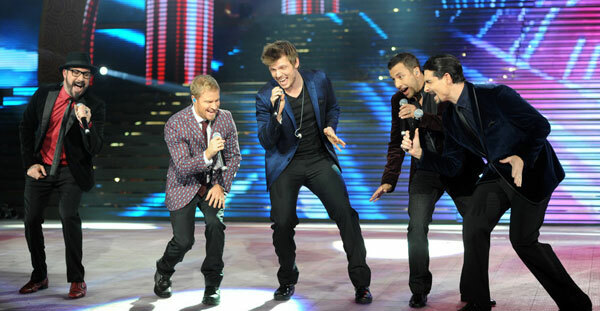 BSB I love them SO much! I like your site tookeep up this good work. I’ll subscribe to your site also. thnx!